In addition, the increasing use of mobile devices, which most often are not Java-enabled, suggests that moving to a new display option is warranted. If you want to see some fine examples of all three approaches (Java-based: Jmol, Javascipt-based: Chemdoodle, and HTML5-based: GLMol) I strongly encourage you to read Henry Rzepa’s recent brilliant article in Journal of Cheminformatics (DOI: 10.1186/1758-2946-5-6). This is a fantastic article to compare the old-school publication technology (as presented in modern day PDF form) and new-school enabled technology (what Henry calls a datument). First download the pdf version and read it, and then access the HTML version; I guarantee you will be impressed by the difference in the experience. So, please chime in on what molecular viewers I might adopt for this blog, and perhaps we as a community might be able to encourage the use of and further the development of these enhanced publication technologies. barrier for 1 is about 13 kcal mol-1. The authors supply an interesting movie of this pseudo-reaction path (download the movie). (1) Xia, J.; Golder, M. R.; Foster, M. E.; Wong, B. M.; Jasti, R. "Synthesis, Characterization, and Computational Studies of Cycloparaphenylene Dimers," J. Am. Chem. Soc. 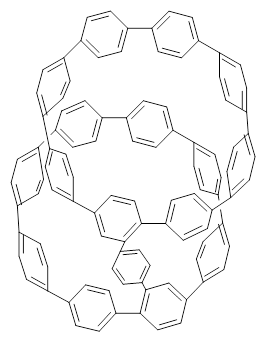 2012, 134, 19709-19715, DOI: 10.1021/ja307373r. Basis set superposition error plagues all practical computations. This error results from the use of incomplete basis sets (thus pretty much all computations will suffer from this problem). The primary example of this error is in the formation of a supermolecule AB from the monomers A and B. Superposition occurs when in the computation of the supermolecule, basis functions centered on B are used to supplement the basis set of A, not to describe the bonding or interaction between the two monomers, but simply to better the description of the monomer A itself. 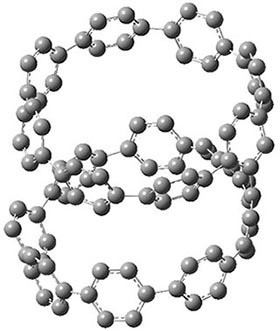 Thus, BSSE always serves to increase the binding in the supermolecule. 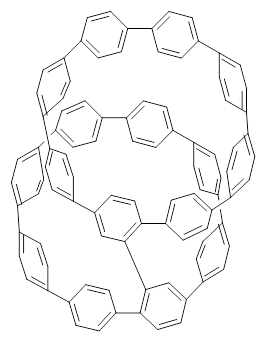 Recently, this concept has been extended to intramolecular BSSE, as discussed in these posts (A and B). where ξs and ξp are optimized Slater exponents from extended Huckel theory, and η is the last parameter that needs to be fit. There are four parameters and these need to be fit for each specific combination of method (functional) and basis set. Kruse and Grimme provide parameters for a number of combinations, and suggest that the parameters devised for B3LYP are suitable for other functionals. So what is this all good for? They demonstrate that for a broad range of benchmark systems involving weak bonds, the that gCP corrected method coupled with the DFT-D3 dispersion correction provides excellent results, even with B3LYP/6-31G*! This allows one to potentially run a computation on very large systems, like proteins, where large basis sets, like TZP or QZP, would be impossible. In a follow-up paper,2 they show that the B3LYP/6-31G*-gCP-D3 computations of a few Diels-Alder reactions and computations of strain energies of fullerenes match up very well with computations performed at significantly higher levels. Once this gCP method and the D3 correction are fully integrated within popular QM programs, this combined methodology should get some serious attention. Even in the absence of this integration, these energy corrections can be obtained using the web service provided by Grimme at http://www.thch.uni-bonn.de/tc/gcpd3. This is a short post mainly to bring to the reader’s attention a couple of recent JCTC papers. The first is a benchmark study by Hujo and Grimme of the geometries produced by DFT computations that are corrected for dispersion.1 They use the S22 and S66 test sets that span a range of compounds expressing weak interactions. Of particular note is that the B3LYP-D3 method provided the best geometries, suggesting that this much (and justly) maligned functional can be significantly improved with just the simple D3 fix. The second paper entails the description of Truhlar and Cramer’s latest iteration on their solvation model, namely SM12.2 The main change here is the use of Hirshfeld-based charges, which comprise their Charge Model 5 (CM5). The training set used to obtain the needed parameters is much larger than with previous versions and allows for treating a very broad set of solvents. Performance of the model is excellent. I have written a number of posts discussing long C-C bonds (here and here). What about very long bonds between carbon and a heteroatom? Well, Mascal and co-workers1 have computed the structures of some oxonium cations that express some very long C-O bonds. The champion, computed at MP2/6-31+G**, is the oxatriquinane 1, whose C-O bond is predicted to be 1.602 Å! (It is rather disappointing that the optimized structures are not included in the supporting materials!) The long bond is attributed not to dispersion forces, as in the very long C-C bonds (see the other posts), but rather to σ(C-H) or σ(C-C) donation into the σ*(C-O) orbital. Inspired by these computations, they went ahead and synthesized 1 and some related species. They were able to get crystals of 1 as a (CHB11Cl11)– salt. 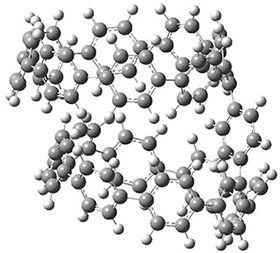 The experimental C-O bond lengths for the x-ray crystal study are 1.591, 1.593, and 1.622 Å, confirming the computational prediction of long C-O bonds. Structural database that are erroneous – a cautionary note to anyone making use of this database to identify unusual structures.